On Monday night, Oak Park will gain three new basketball courts as a result of one man’s drive to use basketball to teach community pride and self-respect. KANSAS CITY, Mo. — Tonight, Oak Park will gain three new basketball courts as a result of one man’s drive to use basketball to teach community pride and self-respect. “Have you ever been somewhere, man, and you couldn't stay long because you had a reason to get back to... this is my 'get back to.' I have to make sure that everything is like it’s supposed to be”, said Pat Clarke, community activist. 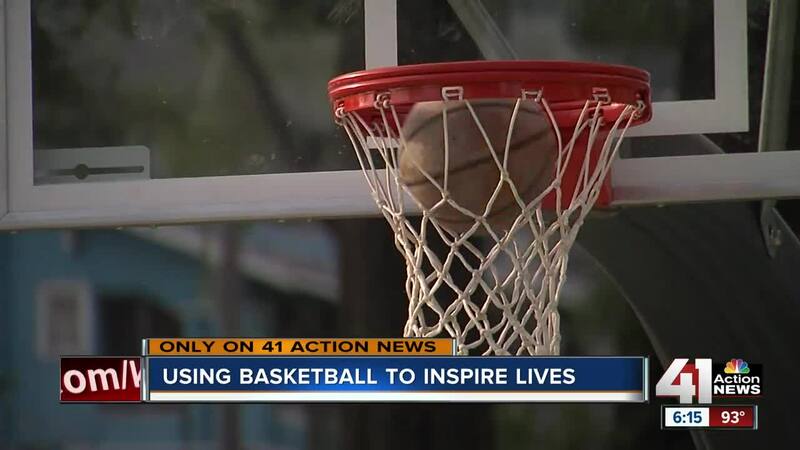 Last year, 41 Action News highlighted how Clarke uses basketball to influence young lives . Since then, Clarke's project has received a lot of attention and he’s worked even harder, spending hours and hours building the three new courts. “I can’t even count. The bad part about it is, I’m trying to stay married. I spend more time out here in the street, than I do at home,” said Clarke. With the additional courts, Clarke’s “Hoops at Night” summer league can expand and include women. But it’s not just about basketball to Clarke. It’s about building relationships and teaching kids how to take control of their future. "When I am not playing basketball, I’m out here talking to these kids. I am talking about voting, how important it is to vote, why we vote," said Clarke. Pat wants the youth to know this community cares about them. "At the end of the day, it ain't about me, it’s about us," Clarke said.